Mercedes team principal Toto Wolff says Valtteri Bottas must show he is a match for his world champion teammate Lewis Hamilton in 2019 if he is to keep his race seat with the constructors' champions for a fourth year and beyond. 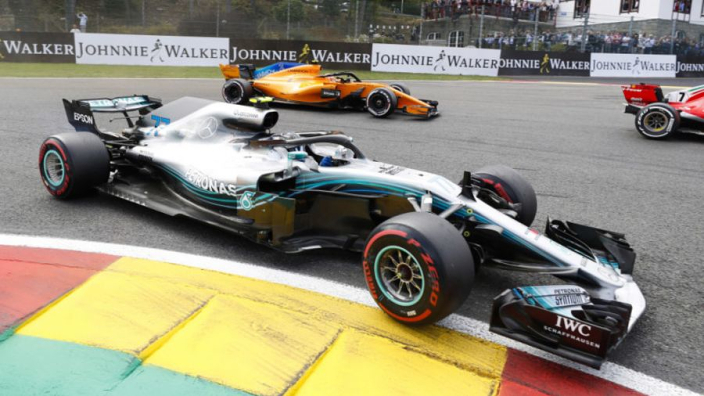 Bottas has come under intense scrutiny after going winless through 2018 as the Silver Arrows and Lewis Hamilton secured title success yet again. Poor fortune cost Bottas possible wins in Shanghai and Baku, but his hesitance in Bahrain let Sebastian Vettel start the season with successive wins and a loss of form after his Azerbaijan puncture left him trailing the title fight by a distance. With Esteban Ocon waiting for a 2020 F1 drive as Mercedes' third driver, and George Russell's star on the rise, Bottas has plenty of potential challengers for his seat from within the team. Wolff says Bottas is already aware of his goals for 2019, claiming that Hamilton's continued improvement will not be taken into account of the Finn falls short. "That is what is needed for the 2020 year. He knows very well that, and he has that in him. "Lewis improving means Valtteri needs to improve. I've seen that improvement all the time with him, but you are going against a five-time world champion.